In June of 2016, Britain voted to withdraw from the European Union, which is a political and economic union between 28 counties. The voters were asked this question: should the United Kingdom remain a member of the European Union or leave? Voters have voted yes with the thinking that this decision will protect the United Kingdom’s identity and independency. However, the argument is expressed as a resistance to immigration. On the other hand, union supporters argue that staying in the European Union is necessary to maintain a good British economy. Donald Trump described his candidacy as Brexit Plus, explaining that just as the British movement made the voters leave the European Union, the same put Trump in the white house. James Hartley, professor and chair of economics at Mount Holyoke College, has said, “Brexit and the Trump victory are centered in exactly the same phenomenon”. He continued to compare the events by saying, “a large portion of the electorate in both countries is tired of the intellectual elites telling them what to think and looking down on them for having a different opinion.” Many would say that the fallout from Brexit was less intense than the historical event of Donald Trump’s win since the U.S. president is considered the most powerful man in the world. No one truly knows how Brexit will affect the relationship between Trump and Britain. It is simply too soon to tell, especially since Trump has been known to change his mind quite often. Trump has expressed his respect for the United Kingdom, however, this doesn’t mean he is planning on maintaining a full economic relationship with them. It is believed that both Donald Trump’s presidency win and the United Kingdom’s decision to leave the European Union were made to take a stance against immigration. 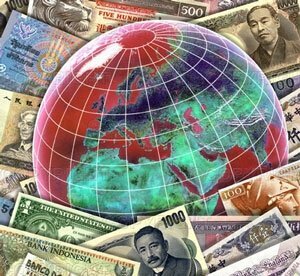 Both are viewed as a backlash against globalism and the question remains, will these historic events result in a retreat from global accounting standards? Hoogervorst, the International Accounting Standards Board chairman explained, “Of course, it is too early to tell, but for now we see no immediate consequences.” He discussed the topic further, explaining that it is extremely possible that the longtime trend toward growing global investment and trade could be broken due to the latest political events. The common accounting standards are solid as multinational companies remain in business and major investors continue to seek business opportunities across the globe. As of right now, there is no way to tell how Trump affects the American economy. However, many economic experts believe the United Kingdom’s economy is already declining. The connection between Trump and Brexit is clear, but we still don’t know the results of both or how they will impact each other. It is too early to know. Even though Trump was already affecting major economical decisions before beginning his presidency, we know things will change as his term continues and precise decisions are made. Jess Davis - Beat the CPA, Jess is a CPA expert who has helped hundreds of students pass the CPA Exam with unique study tips and strategies.